Mini Mexican Pizzas for Game Day! 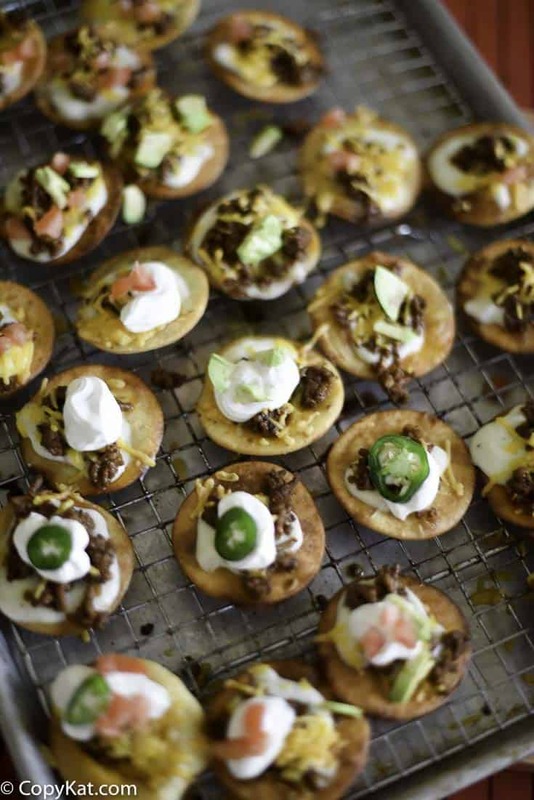 Mini Mexican Pizzas are the perfect addition to Game Day. They are hand-held crispy tortillas, a savory sauce, perfectly spiced taco seasoning meat, and Fresh Cravings Restaurant Style mild crave salsa, and you are in business. Do you want to learn more about Fresh Cravings Restaurant Style Salsa? Be sure to go to their Facebook Page. You might wonder where you can find Fresh Cravings Restaurant Style mild crave salsa? You can find it in the chilled produce section in Walmart. You can learn more about Fresh Cravings Restaurant Style Salsa on their Facebook Page. Did I mention that this salsa not only tastes great because it is made right next to where the farmers harvest the ingredients, but it also costs less than many bottled salsas. The fresh salsa comes in two varieties, it comes in the hot and the mild flavor, so you are bound to find the perfect salsa just for you. 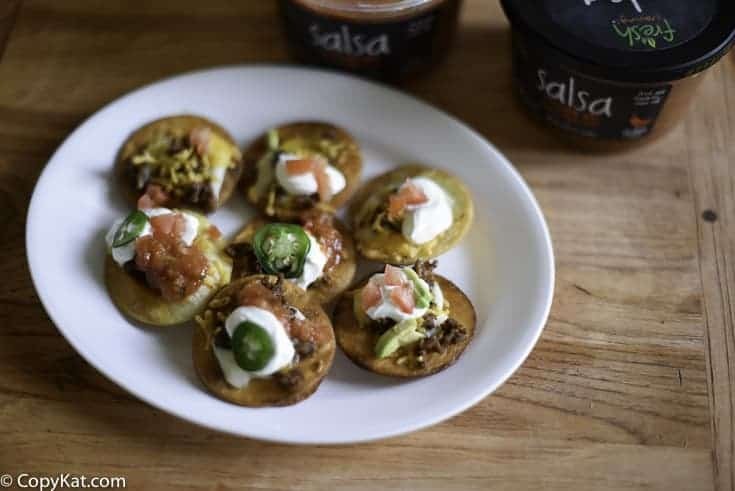 I know you will love the Mini Mexican pizzas when served up with some delicious Fresh Cravings Restaurant Style mild crave salsa! For me, Gameday means I get to bring out all sorts of snacks that I don’t have every day. I get to have things like Nachos, Queso, and I sometimes like to through together a taco bar. This year I wanted to do something extra special for the big game day. I am going to make small Mexican Pizzas. To make small Mexican pizzas I cut out small circles from tortillas, then I deep fried them to make them crispy. To make the sauce for the pizza I made a bechamel sauce with a bit of onion then topped the pizzas with ground beef, chopped avocados, chopped tomatoes, and chopped tomatoes. You can top your pizzas with whatever you like; it’s up to you. 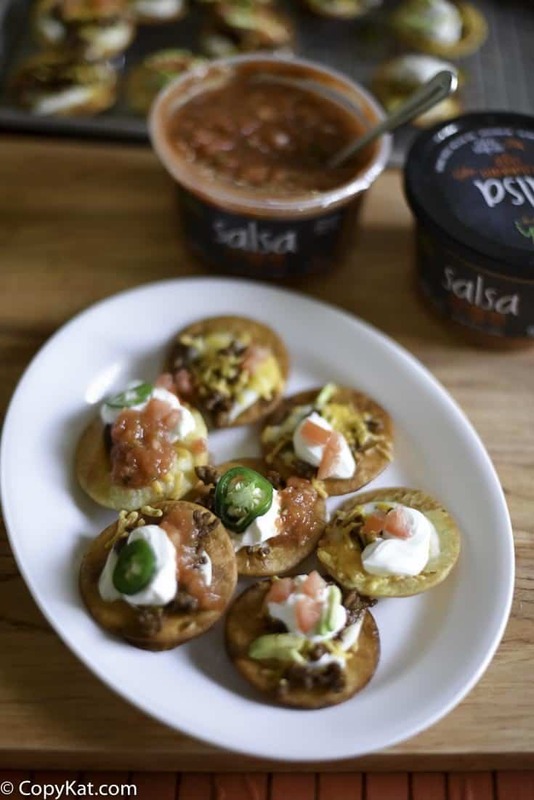 To pair my mini Mexican pizzas I used Fresh Cravings Restaurant Style mild crave salsa. I love the Fresh Cravings Restaurant Style mild crave salsa. You buy this in the refrigerated section at Walmart in the refrigerated produce section. The Fresh Cravings Restaurant Style salsa takes just one of my favorite Mexican restaurants. What makes this like a restaurant? It isn’t cooked, so all of the vegetables in the salsa taste like they just came out of the garden. So it makes the perfect salsa to pick up when you want the perfect salsa to top your tacos. It also makes a great change when you use this to make queso with Velveeta cheese! Mini Mexican Pizzas make a great appetizer. his will take just a moment or two. Drain on a wire rack. Prepare the pizza sauce: Heat the butter and onion in a small saucepan over medium heat. When the onion becomes fragrant and translucent add the flour, and stir for both 60 seconds. Add the milk in two equal portions. Add the second portion of milk once the first has thickened. Season with salt and pepper. Prepare the ground beef in a medium-sized skillet. Drain off excess fat. Add taco seasoning and recommended amount of water according to the package directions. To assemble pizzas. Add about 1 teaspoon of the white sauce to each round, then add a portion of taco meat. Top with cheese, and place in a 350-degree oven until the cheese begins to melt. When you remove the mini Mexican pizzas from the oven place on a serving plate, and be sure to serve with plenty of Fresh Cravings Restaurant Style mild crave salsa. I’m not a fan of beans but I had some left over rice so, I added that to my meat before I cooked it and they turned out great!! My toddler loves them. Thanks for the recipe! I’am going to make the mini Mexican pizzas this coming Sunday. I just know everyone will love these. They will also love the football game if the Packers win.